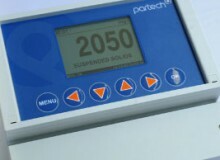 With 2016 drawing to a close, we are looking back over the accomplishments of the year and most notably Partech achieved a record export order – our largest to date! The record export order came in from Beijing Science and Technology Company Ben-Hua whom we have formed a winning working relationship with over the years. Ben-Hua were successful in acquiring a project to supply to the biggest membrane manufacturer in China, the prestigious Beijing Origin Water Technology Company. Origin Water are famous globally and their core business relates to the use of novel membrane filtration systems in municipal and industrial sewage treatment and recycling. Through the combined hard work of all our team, we manufactured, tested and shipped 120 TurbiTechw² LR, ColTechw² and OxyTechw² RDO Pro-X Sensors and 7300w² Monitors. 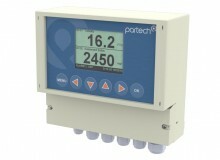 The 7300w² monitor is designed to interface with all of these sensors in the WaterWatch² range. The instruments have been installed at Waste Water Treatment plants Huhehaote Xinxin Ban and Huhehaote zhanggaiying in China. We can’t wait to see what’s in store for 2017 and working towards another prosperous year with our distributors.